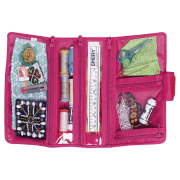 The Yazzii Craft Organiser is a great bag to use for carrying your small craft projects such as applique and beadwork.The bag has one full size pocket, two half size pockets, and two narrow full length pockets. 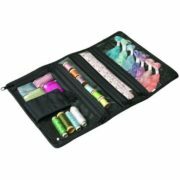 Each of the pockets has a clear front for you to see the contents, and a zipper to prevent the contents from falling out when in use. 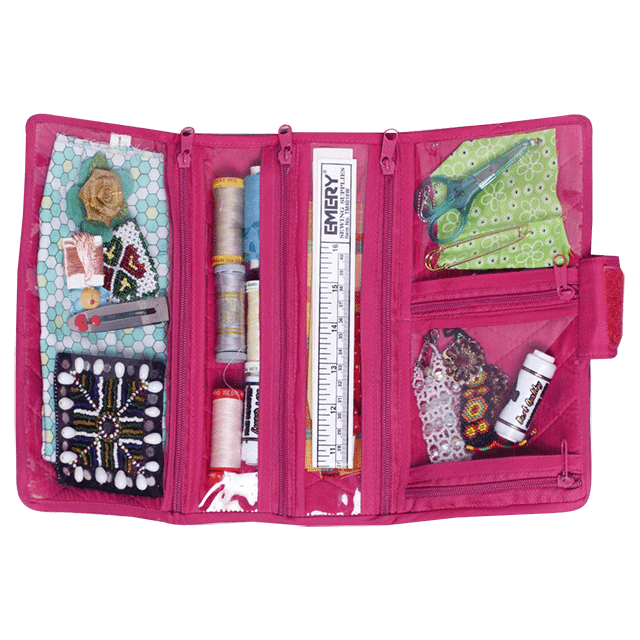 Yazzii Craft Organiser is a great bag to use for carrying your small craft projects such as applique and beadwork.The bag has one full size pocket, two half size pockets, and two narrow full length pockets. 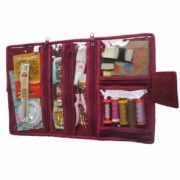 Each of the pockets has a clear front for you to see the contents, and a zipper to prevent the contents from falling out when in use. 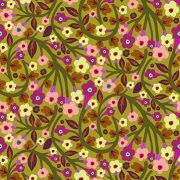 The Yazzii Craft Wallet comes in Black, Green, Aqua, Navy, Maroon and Fuchsia.